As the water level in the inundated areas is lowering, mass number of people are contracting water borne diseases especially diarrhoea. According to National Daily Newspapers, at least 34,989 people are suffering from diarrhoea across the country. To help these people HCBL has set up free mobile Medical Camp with the assistance of Shakti Foundation. 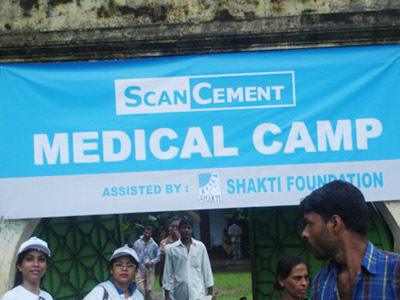 Shakti Foundation is a local NGO, who are providing Medical Teams for our camps. The first Medical Camp has started its operation at Manikganj Sadar on 13 August 2007. Gradually it will cover Jhitka, Singair, Sibalay and Nabinagar under Manikganj district.